GO UP TO A LAND FLOWING WITH MILK AND HONEY. Milk and honey have very important things to teach us about Yah’s Word and why he chose these symbols for the land of promise. O, the glorious Promised Land! Much has been written and said about the land that Yah carved out as a special possession for his own special possession: the people of Israel. While we are told in unmistakable language about the glories that would fill the land at some future time, the truth is, when Israel was still wandering around on its outskirts, it flowed with quite a bit more, that being the pagan Canaanites and their contemporaries (the other -ites), coupled with all the abominable customs, foods, idols, and other things that were part and parcel of their daily lives. While many have focused on certain aspects of the Promised Land, this article will touch on a little-known aspect, that of the symbols highlighted in the very promise associated with Canaan. We are told that milk and honey would flow in the land, but everyone knows that milk and honey aren’t products that are found flowing naturally in the wild. Meaning, they don’t come easily. The very idea of both honey and milk involves a great deal of something many of us dread: work! And we’re not even talking about human labor at this point. Yes, honey results from the labor of millions of bees (billions if we’re talking about feeding an entire nation). And milk cannot be produced without a great degree of labor also. The truth is, Yah was painting a picture for our benefit by framing the Land of Promise the way he did. He could have had it flow with anything, but milk and honey speak to two significant representations that are quite revealing. Let’s consider the production of honey. A bee leaves the hive in search of sugar-rich nectar from flowers. And this is how bees actually pollinate flowers or allow them to reproduce and spread from field to field. Plants depend on bees and many other insects for reproduction. In the process of collecting nectar from a plant’s flowers, traces of pollen from the flower’s stamens—or male reproductive organ—gets stuck to the bee’s hairs, and that pollen is taken elsewhere, thereafter rubbing off on the female reproductive organ or stigma portion of the pistil of other flowers. This allows for mass fertilization of plants far and wide. In this way, bees are really farmers, just like Yah. 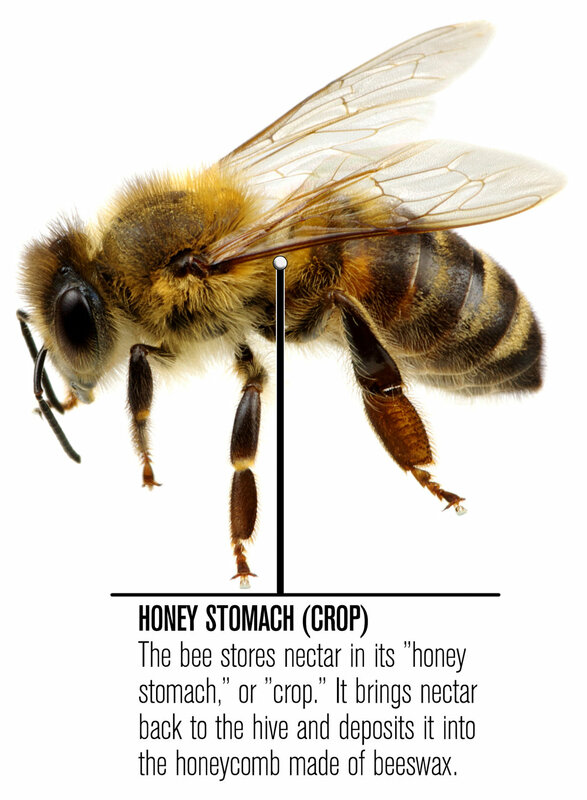 In fact, their honey stomachs are called “crops.” The honey stomach, or “crop,” is where they store the nectar of roughly 1,000 flowers derived from more than an hour’s work. This kind of farming is the very work Israel was to carry out, spreading the Torah of Yah from nation to nation, until the wide world of varied peoples became a macro Israel. Now, the work of pollinating flowers is not without its rich reward. 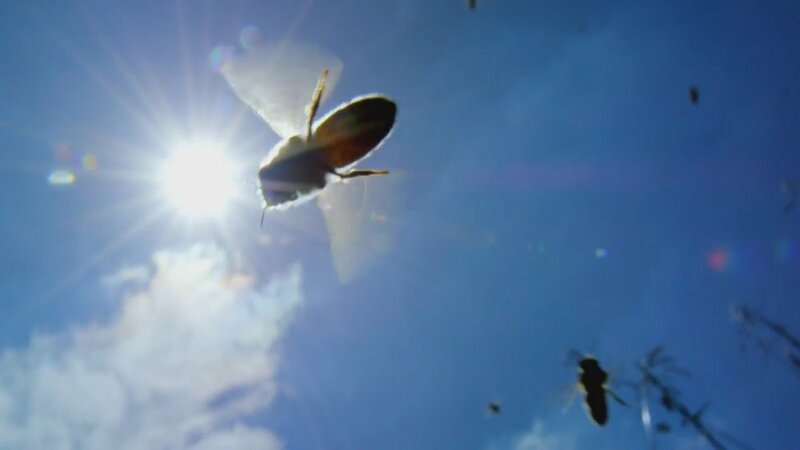 Foraging bees carry loads of nectar back to the hive again and again, transferring that nectar to hive bees who take over the work of converting nectar into honey. Hive bees have to work together as a unit, regurgitating and digesting nectar for about 20 minutes in order to break down its complex sugars to a simpler, digestible form, all the while removing as much moisture from the product as possible. With the aid of their digestive enzymes, they pass the regurgitated nectar mixture—which is transformed in several stages—from one bee to another, until it reaches storage quality. It is thereafter placed in secure cells and sealed with wax, where it ripens into its final honey form. We are told that milk and honey would flow in the land, but everyone knows that milk and honey aren’t products that are found flowing naturally in the wild. While the outside work of pollinating the flowers of plants is of great benefit to those plants and the wider ecosystem surrounding their fields, honey bees also get to enjoy the reward that arises from their hard labor. But reaping that reward comes with more labor being carried out inside the hive; labor that requires a concerted effort on the part of many bees working in unison. This is the pattern laid out for Israel as well. We must work to dispense Torah to the masses in the wide world outside our own, where we “rub off” the pollen of righteousness to others so that it spreads, but we must work equally hard to cultivate the rich reward of living according to Torah (Yah’s perfect law) in our own little worlds. This sweet reward must be found in our own inner temples (our bodies, minds, and hearts), and within the walls of our own homes. 7 The law of Yah is perfect, reviving the soul; the testimony of Yah is sure, making wise the simple; 8 the precepts of Yah are right, rejoicing the heart; the commandment of Yah is pure, enlightening the eyes; 9 the fear of Yah is clean, enduring forever; the rules of Yah are true, and righteous altogether. 10 More to be desired are they than gold, even much fine gold; sweeter also than honey and drippings of the honeycomb. 11 Moreover, by them is your servant warned; in keeping them there is great reward. Like the hive bees working together to convert nectar to rich honey, Israel is also to work together as a nation to produce the abundant richness derived from obeying Yah’s laws and keeping the covenant within our own culture. And that work requires a concerted effort. The experience in Canaan was to be no different. The presence of the honey bee highlights that very fact. 21 Now in that day a man may keep alive a heifer and a pair of sheep; 22 and because of the abundance of the milk produced he will eat curds, for everyone that is left within the land will eat curds and honey. 4 These are the animals you may eat: the ox, the sheep, the goat. . . . In other words, the land of promise would be filled with these animals, which was a sign of blessing, since many products derived from them, such as wineskins, meat, milk, cheese, fabrics, etc. Their presence, therefore, meant the livelihood of an entire nation at the time. But since we’re focusing on milk, specifically, we can discuss its particular benefits. Milk, the white liquid we’re all familiar with by now, is produced by the mammary glands of mammals. It is all infants can consume to receive nutrition until they can digest solids and other liquids. Of course, humans fall into this category. Studies have shown that early-lactation milk contains colostrum, which carries antibodies that protect newborns against diseases. Milk is also filled with other nutrients, such as the sugar lactose and protein, and it is an interspecies beverage, meaning many mammals can consume the milk of other mammals, which is why humans drink milk from the three animals listed as clean in Deuteronomy 14:4. And while some people cannot drink certain kinds of milk, they can drink others. For instance, the fat content of cow and goat milk are very similar, though the fat globules in goat milk are smaller than that in cow’s milk, and this makes it easier for the body to digest. In other words, there is one form of milk or another that is consumable by all. In this way, milk is like the Word of Yah, the Scriptures, in that is it accessible to, and good for, everyone. In fact, the Word of Yah is actually compared to milk, when it is read at a rudimentary level and meant to convey easily digestible points of truth. 2 . . . like newborn babies, long for the pure milk of the word, so that by it you may grow in respect to salvation. . . .
22 Then you shall say to Pharaoh, ‘Thus says Yah, Israel is my firstborn son. . . . So, this beloved nation, this firstborn son of Yah’s, was to be raised in a fertile land, flowing with two important products that displayed different aspects of his Word: the Scriptures, which we are all to live by. We were to start with the base nourishment of milk, and when weaned, work our way up to the heftier honey product, which would be sweet to our refined spiritual taste.